The cameras were rolling over the weekend as a veteran Sarasota police officer broke into tears while finishing the last patrol before his retirement. Officer Andre Jenkins, a 30-year veteran with the Sarasota Police Department in central Florida, got emotional on Saturday as he sent the last "10-7," out of service message, of his long career in law enforcement, according to video released by the department. “I've had plenty of good times and a lot of good memories over my career and I appreciate it. I’ll cherish them for the rest of my life,” the officer added. 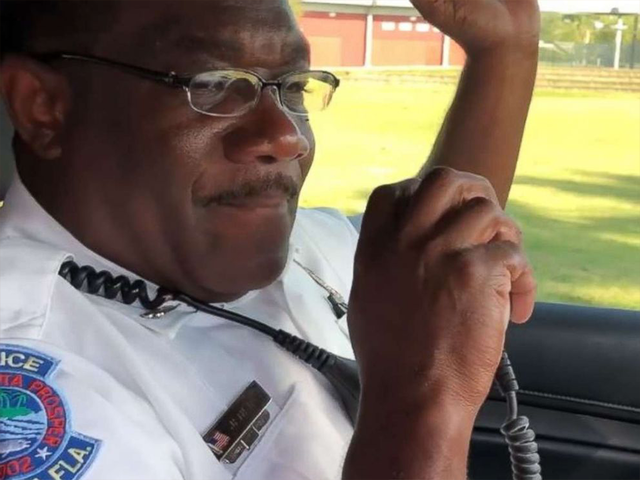 Fellow officers responded with a slew of congratulatory messages over the radio, with some officers wishing him well and others saying they hoped to celebrate their own retirement some day.